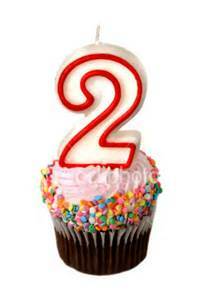 I forgot that last Friday was the 2 year anniversary for the blog. I am thankful that this blog is carrying along like it has in the vein of the “Little Engine That Could”. I don’t know if many people read this blog or not but the main thing is that it his helpful in sharing my thoughts and my journey. Hopefully this blog has been a blessing to those that have read it. I do not take for granted to opportunity this blog affords me. What does the next year hold in store? Probably more of the same with hopefully more inspired posts than I have written before. Thanks again for joining me on this journey and may there be many more stories to share in the journey. Not too along ago I watched 2013 documentary The Kingdom of Dreams and Madness. The documentary is focused on Studio Ghibli, the animation film studio that Hayao Miyazaki and Isao Takahata. The film specifically looks at the year leading up to the release of two films. Those two films were Miyazaki’s The Wind Rises and Takahata’s The Tale of Princess Kaguya. People get a look into the life of the studio as well as that of the two founders of the studio. Miyazaki is featured prominently in the film because he’s more well known. However, Takahata is shown as well, even though he is more of a recluse. What makes this documentary special, along with getting a look behind the scenes of Studio Ghibli, is the fact that it was announced during this time that Miyazaki would be retiring following the release of The Wind Rises. It gives the film a bittersweet feeling as you know that things will never be the same once the films were finished. 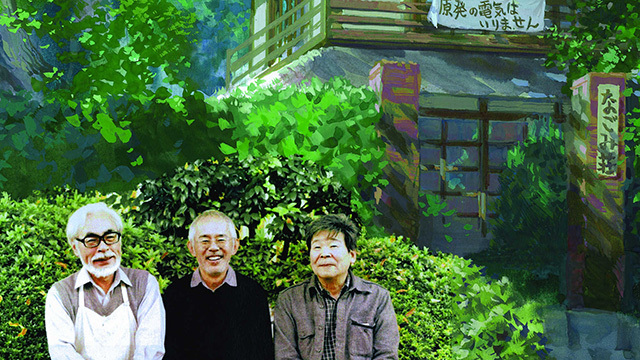 The Kingdom of Dreams and Madness was released in Japan on November 16, 2013 and in the United States the next year. The documentary is in Japanese with English subtitles. It is worth watching and seeing the behind the scenes of how an iconic studio made films. The letter of 2 John is one of the shortest books in the New Testament. However, there are a lot of important things in this brief letter. The main thing is the importance and the interconnection between truth and love. John made it a point throughout the letter that the wrote to a congregation that he knew and loved to emphasize this. Truth and love are intertwined. You cannot separate the two. If there is love but no truth, then there is not real love there. If there is truth but no love, then it is legalism and not the whole truth. Jesus was all about truth and love. He was the way, the truth and the life. He demonstrated His love for us. If we are to be followers of Jesus, we need to be about truth and love in our lives. This week, let us show love and speak truth together to others and to ourselves. The psalmist calls for all the nations and all peoples to praise the Lord and rightfully so. God is faithful and He loves us so much. Our response should be to give Him the praise and honor He deserves. This week, let us remember how great God’s love is to us and how His faithfulness endures. Let that call us to join with others in praising God. These verses are some of the more well known verses. It is the story of Peter and Jesus talking after the resurrection and Jesus forgiving Peter and giving him a mission. We all fail. We all mess up. But the great thing is Jesus forgives us when we repent. And what’s even better is He still wants to use us for His kingdom. He had a plan and purpose for Peter: “feed my lambs”, “tend my sheep”, “feed my sheep”. He has a plan and purpose for your life too. You just have to be open and ready to receive it. The other big thing from this story is to focus on one’s own mission. We sometimes get caught up in what other people are doing or how God is using them. We have to be responsible for what God has called us to do and not worry about what others have in store. Peter got caught up in worrying what would happen with John. Jesus reminded him that it wasn’t Peter’s place to focus on John. Peter was to focus on following Jesus. This week, let us repent, let us accept forgiveness, let us be ready to follow Jesus and serve Him in whatever roles He has called us to do.